Though the grace of faith is of universal use throughout our whole lives, yet it is especially so when we come to die. Faith has its greatest work to do at last, to help believers to finish well, to die to the Lord, so as to honor him, by patience, hope, and joy—so as to leave a witness behind them of the truth of God’s word and the excellency of his ways … (Matthew Henry’s Commentary [Revell], 6:946). Faith faces death trusting God to fulfill His future promises, even when circumstances seem to contradict those promises. While there are some different lessons to be learned from each man, the author uses each example to drive home the same basic point. Each one died with faith in God’s promises, even though circumstances seemed to contradict those promises. In the cases of Isaac and Jacob, they both had many failures in the life of faith, and yet, by God’s grace, they crossed the finish line with a strong flourish of faith. They illustrate what Paul wrote (Phil. 1:6), “For I am confident of this very thing, that He who began a good work in you will perfect it until the day of Christ Jesus.” If, by God’s grace, you and I have begun the life of faith, by that same grace we will die strong in faith, testifying to others that God’s promises are true, in spite of our circumstances. 1. Isaac’s blessing of Jacob and Esau shows faith in God’s promises, even when circumstances seem to contradict those promises (11:20). “By faith Isaac blessed Jacob and Esau, even regarding things to come.” The story comes from Genesis 27. Isaac was old and blind. He called his favorite son, Esau, and requested that he bring back some fresh game and cook it up his favorite way. Then he would bless Esau. The father’s blessing involved conferring a double portion of the family inheritance on the firstborn son, coupled with prophetic words about his future. At the birth of the twins, God had directly told Rebekah (Gen. 25:23), “Two nations are in your womb; and two peoples will be separated from your body; and one people shall be stronger than the other; and the older shall serve the younger.” Jacob, the father of the nation Israel, was the younger. Esau, the father of the nation Edom, was the older. Isaac, however, had a natural liking toward Esau, whereas Jacob was a mama’s boy. When mama overheard that dad was about to confer the family blessing on the older son, she went into action with a plan to secure the blessing on her favorite son. Whether she thought that she was rescuing God’s prophetic word from oblivion or whether she just was running interference for her favorite son, we do not know, but the emphasis was probably on favorite son. Isaac probably was not deliberately going against God’s revealed word. Rather, he probably didn’t understand the significance of that word and was just following custom with his favorite son. But he had not exerted much effort to inquire of God as to the meaning of the prophecy or how he should apply it. He seems far more interested in tasting his favorite meat than in following God’s ways. I assume that you know the story, how Jacob dressed up in his brother’s garments and took mama’s stew to his aged father to con him and his brother out of the blessing. Being deceived, Isaac inadvertently fulfilled God’s earlier prophecy to Rebekah by conferring the blessing on Jacob. You may wonder, “How did Isaac act by faith when he was deceived? He didn’t even know what he was doing!” But the author doesn’t go into such details or to the difference between the blessings on Jacob and Esau. His emphasis is rather that by blessing his sons, Isaac was acting in the faith that God would fulfill the prophetic aspects of the blessing in the future. To his credit, when Isaac discovered that he had been deceived, he did not revoke the blessing in anger. Rather, he seemed to realize that God’s word to Rebekah at the birth of the twins would truly come to pass. So he told Esau that he had blessed his brother and then affirmed, “Yes, and he shall be blessed” (Gen. 27:33). Just before Jacob fled to Haran, Isaac charged him not to take a wife from the daughters of Canaan. Then he said to Jacob, “May God Almighty bless you and make you fruitful and multiply you, that you may become a company of peoples. May He also give you the blessing of Abraham, to you and to your descendants with you, that you may possess the land of your sojournings, which God gave to Abraham” (Gen. 28:3-4). Jacob didn’t even have a wife, let alone a company of peoples descended from him! Neither Isaac nor Jacob owned a square foot of the promised land, except for a burial cave! But by pronouncing the blessing, Isaac demonstrated faith that God’s promises would not fail, even though there was no indication at that time that they ever would be fulfilled. The story behind Hebrews 11:20 is not flattering to any of the participants, except for Isaac’s faith regarding things to come. Isaac seemed to be more interested in a tasty meal than in God’s prophetic word. Esau was a profane man, who had despised his spiritual heritage for a bowl of stew. Rebekah deliberately deceived her husband and encouraged her son to lie. Jacob agreed to go along with the lies, taking advantage of his blind father. But God used the whole soap opera, with each character acting selfishly without regard for God, to fulfill His sovereign purpose. God had chosen Jacob and rejected Esau. His purpose according to His choice will stand (Rom. 9:11-13). It does not depend on people fully understanding His purpose. Isaac obviously did not understand it at first. It doesn’t depend on people obeying Him, although they should obey. But He used Rebekah’s and Jacob’s deception to fulfill His purpose. Paul relates this story and then says that God’s purpose “does not depend on the man who wills or the man who runs, but on God who has mercy” (Rom. 9:16). But God has said that there will be some from every tongue and people and nation, purchased with Jesus’ blood, gathered around His throne (Rev. 5:9). He has said that the church will be a pure and spotless bride, made ready for her husband (Eph. 5:27; Rev. 21:3). In spite of all of our shortcomings and failures, His purpose will be fulfilled. That should not cause us to shrug our shoulders in apathy or to sin that grace may abound. It ought to encourage us to be faithful in spite of disappointments with sinful people or ominous world events. It should cause us to be steadfast and immovable in the Lord’s work, knowing that our work is never in vain in the Lord (1 Cor. 15:58). 2. Jacob’s blessing of Joseph’s sons and his worship show faith in God’s promises, even when circumstances seem to contradict those promises (11:21). There are two incidents here, in reverse chronological order. A. JACOB’S BLESSING OF JOSEPH’S SONS SHOWS FAITH IN GOD’S PROMISES, EVEN WHEN CIRCUMSTANCES SEEM TO CONTRADICT THOSE PROMISES. This event is recorded in Genesis 48. Jacob and all of his sons and their families had migrated to Egypt to endure the famine. Joseph heard that his father was ill and took his two sons to visit his aged father. Jacob recalled God’s appearance to him, when the Lord reaffirmed the Abrahamic covenant. Then he claimed Joseph’s two sons for himself as heirs. In effect, this meant designating Joseph as the firstborn, who received a double portion of the inheritance. Reuben, the natural firstborn, had forfeited his position by having relations with his father’s concubine, Bilhah (Gen. 35:22; 49:4). So now Joseph’s two sons each receive a full portion of the inheritance. But, when Jacob went to lay hands on the young men for the blessing, he deliberately crossed his hands, laying his right hand on Ephraim, the younger, and his left hand on Manasseh, the older. This troubled Joseph, who tried to correct his father. But Jacob replied that he knew exactly what he was doing. Jacob predicted that while both sons would be great, the younger son’s descendants would be the greater of the two (Gen. 48:19). So he put Ephraim before Manasseh. There are three applications of this story. (1). GOD’S WAYS ARE NOT MAN’S WAYS; GOD’S WAYS ACCORDING TO HIS SOVEREIGN CHOICE, WILL TRIUMPH OVER MAN’S WAYS. The natural order would have been for Manasseh, the firstborn, to have preeminence over his younger brother. But Jacob himself demonstrated the same point, that God’s choice of the younger over the elder would thwart man’s ways. In spite of human ignorance and sin to do things man’s way, God’s way and His choice always triumph. This applies to the way of salvation. Man’s way is according to human choice and human merit. Good people who make the right choices are in; bad people who make the wrong choices are out. But God’s way of salvation is according to His choice and purpose, not according to man’s choice (Luke 10:22; John 1:13; 6:65, 70; Rom. 9:11, 15-18). As James 1:18 puts it, “In the exercise of His will He brought us forth by the word of truth, so that we would be a kind of first fruits among His creatures.” Salvation rests on God’s will and God’s power. (2). AS PARENTS AND GRANDPARENTS, WE SHOULD SEEK SPIRITUAL BLESSINGS FOR OUR CHILDREN ABOVE WORLDLY SUCCESS. But what was Jacob really giving his grandsons? By faith in God’s yet unfulfilled promises, he was giving the boys the spiritual blessings of Abraham, which were far better than the worldly blessings of Egypt. Even though there was not a shred of tangible evidence that God would give the land to Jacob’s descendants, Jacob believed God’s promises and handed this off to his grandsons. It is a tragedy that many Christian parents today hope more that their children and grandchildren will succeed materially than that they will succeed spiritually! They would be thrilled to hear that one of their kids got accepted into medical school or landed a fat contract with a professional sports team. But if they heard that the kids were headed for the mission field in a poor country, they would try to “talk some sense into them.” They wouldn’t want them to “throw their lives away” with nothing (materially) to show for it. Besides, they’d rather have the grandkids nearby. That is a thoroughly worldly attitude! First and foremost, we should want our children to walk with God, wherever that may lead them in terms of a career or a geographic location. (3). GOD IS SOVEREIGN IN ASSIGNING DIFFERENT GIFTS AND PLACES TO HIS CHILDREN, BOTH MATERIALLY AND SPIRITUALLY. The story of Jacob and Esau shows that God is free to distinguish between individuals in the matter of salvation, according to His sovereign purpose (Rom. 9:10-18). But the story of Jacob blessing Ephraim and Manasseh shows that God is free to give different material and spiritual blessings to those who are His children, according to His purpose. Some are wealthy, some are not. Some have powerful spiritual gifts, but others have lesser gifts (1 Cor. 12:4-7). Each of us is responsible to use what the Lord has given us to advance His kingdom, and not to compare ourselves with others or be envious that we had what they have been given. B. JACOB’S WORSHIP SHOWS FAITH IN GOD’S PROMISES, EVEN WHEN CIRCUMSTANCES SEEM TO CONTRADICT THOSE PROMISES. Jacob’s worshiping on the top of his staff happened before he blessed Joseph’s sons (Gen. 47:29-31). Joseph had heard that his father was near death, and he visited him privately. Jacob asked Joseph to swear that he would not bury him in Egypt, but rather in the Cave of Machpelah with his ancestors. When Joseph swore that he would do so, Jacob bowed in worship. There is a discrepancy in that the Massoretic text, which lies behind our Old Testament, says that he worshiped at the head of his bed, whereas the LXX says that he worshiped on the top of his staff. The Hebrew language was written with consonants only until the sixth to eighth centuries, A.D., when Hebrew scholars added the vowel points. The noun in question reads bed if pointed in one way, but staff if pointed another way. Since the LXX was translated about nine centuries before the Massoretic pointing was added, it probably best reflects the original text, staff (Philip Hughes, A Commentary on the Epistle to the Hebrews [Eerdmans], pp. 4488-489). Either way, the point is to show an old man whose body is weak, but whose faith is strong in God’s promises. Although all of his descendants are now living comfortably in Egypt, he doesn’t want to signal that that is okay. When Joseph agrees to bury him in Canaan, he worships God because he sees in Joseph’s promise a glimmer of hope that God will fulfill His promises. The staff may be symbolic for the pilgrim life that Jacob had lived as an heir of the promise to Abraham. His hope was not in this life, but in God’s promises for a better country, namely, a heavenly one (11:16). So even though he was dying as a poor man in a foreign land, he died in faith in God’s promise. 3. Joseph’s mention of the exodus and his order about his bones show faith in God’s promises, even when circumstances seem to contradict those promises (11:22). Both things refer to the same incident (Gen. 50:24-25). As he was dying, Joseph told his brothers (fellow Jews) that God would bring them back to the land which He promised to Abraham, Isaac, and Jacob. Then he made them swear that they would carry his bones with them when they returned to Canaan. Joseph demonstrated many instances of strong faith in God throughout his lifetime. He had resisted the seductive attempts of Potiphar’s wife. He remained true to God while imprisoned unjustly. His faith enabled him to interpret dreams on more than one occasion. He dealt in a godly manner with his brothers who had wronged him. He administered the food relief program fairly, without greed. But the author of Hebrews skips all of these examples of faith and picks out the one about Joseph’s bones! Why? The main reason is that it shows us a man facing death at a time when God’s promises seemed unlikely ever to be fulfilled. God had given the promises to Abraham more than 200 years before, but here were his descendants living in Egypt, not in Canaan. They were doing quite well in Egypt at this point, thanks to Joseph. Their enslavement followed his death. It would still be over 200 years before Moses led them out of Egypt and 40 years after that before they entered Canaan. Yet Joseph made mention of the exodus, and ordered that they take his bones when they left Egypt. By so doing, he was disassociating himself from all of his success in Egypt and associating himself with God’s people and God’s promises. He didn’t want a grand tomb in Egypt, where future generations of Egyptians could pay homage to the man who had saved their country from ruin. Instead, he wanted his final resting place to be in the land of God’s promise. His burial instructions were a strong exhortation to his people not to be satisfied with the blessings of Egypt. They should only be satisfied with God’s promises for the future. The temptations of success and comfort are often much greater than the temptations faced by those in poverty. The poor man more readily sees his need to trust in the Lord, but the rich man can easily trust in his riches and forget the Lord. The story of Joseph’s bones should remind us not to put our hopes in material success, but to realize how empty riches are when we’re on our deathbed. But how rich we truly are if our hope is in God’s promises about eternity! What does it profit to gain the whole world and yet to lose your soul (see Luke 9:25; 12:15-21)? A young woman was about to be operated on for throat cancer. Her chances of survival were slim. At best, she might lose the ability to speak for the rest of her life. For a moment or two the young woman remained silent, though her mouth moved several times as if to speak. Finally, she said in a calm, clear voice, “Blessed be the name of Jesus.” I don’t know the outcome of her surgery. I do know that she trusted God’s promises, even though circumstances seemed contradictory. Faith faces death by trusting God to fulfill His future promises, even when circumstances seem to contradict those promises. By so doing, we join Isaac, Jacob, and Joseph, who all “died in faith, without receiving the promises, but having seen them and having welcomed them from a distance” (Heb. 11:13). Why is belief in God’s sovereign election essential for solid assurance of salvation? How would you answer the charge that if God’s purpose in salvation will be accomplished, then we don’t need to witness? Should Christian parents leave a large inheritance to worldly children? Why/why not? Why must a believer’s hope be in God’s promises for heaven, not on health and wealth in this life? Marla and I enjoy climbing Colorado’s 14er’s, the peaks that tower at least 14,000 feet above sea level. The views from the top are breathtaking! You get a perspective on the land below that you cannot get when you’re down there. I especially enjoy it when we are the only ones on the summit, just to sit and drink it in. The summit of faith is, when God tests us, to surrender to Him that which is most precious to us, counting on Him to keep His promises. 1. God will test our faith. A. GOD WILL TEST OUR FAITH, BUT NEVER BEYOND WHAT WE CAN BEAR. God tests us and every testing is potentially a temptation if we yield to our lusts. But temptation does not come from God but from our sinful lusts. If we sin under testing, we cannot blame God, because He provides the way of escape for us in every testing. He knows how much we can handle. If we fail the test, rather than blaming God, we need to examine why we failed and learn from it. Proverbs 19:3 observes, “The foolishness of man ruins his way, and his heart rages against the Lord.” Our own moral stupidity gets us in trouble, but then we’re prone to blame God. But rather than rage against the Lord, we need to accept responsibility for our failures. God tests our faith, but never beyond what we can bear. Why does He test us? B. GOD’S PURPOSE IN TESTING OUR FAITH IS NOT TO MAKE IT FAIL, BUT TO REVEAL THE QUALITY OF OUR FAITH AND TO HELP US TO GROW. His purpose in the testing is to prove to us and to others the genuine quality of our faith. Without testing, we don’t know if our faith is real. The test shows how strong the faith is. If we submit to God in the test by trusting Him, our faith will grow stronger. When I was in college I took a course in First Aid. But in the 35 years since then, I’ve never once had to use what I learned in that course to save someone’s life. If you had a heart attack right now and stopped breathing, would you rather that I gave you CPR, or an EMT, who has done it often? I might be able to do it, but my skill has never been tested. You’d have a far better chance of survival if someone who has tested his skill at CPR many times came to your aid. It is encouraging to realize that this test of sacrificing Isaac was not the first one that God laid on Abraham, and to know that Abraham had failed some of the earlier tests. (Maybe there is hope even for me!) God was patient and faithful to keep working with Abraham, growing his faith through repeated tests. When God first called Abram to leave his family and his native country, he only partially obeyed. He went as far as Haran, but his father went with him. Only after his father’s death and a subsequent call of God, did Abram fully obey (Acts 7:2-4, compared with Gen. 11:31-12:4). When he finally got to Canaan, there was a famine. Without seeking God, Abram went down to Egypt, and there he failed by passing off Sarah as his sister (Gen. 12:10-20). Years later, when God delayed fulfilling the promise of a son, Abram failed by having relations with Hagar, resulting in the birth of Ishmael (Gen. 16). Later, he failed the test again by lying about Sarah as his sister (Gen. 20). 2. We should respond to the testing of our faith with prompt obedience and total surrender of that which is most precious to us. A. ABRAHAM OBEYED GOD PROMPTLY WITHOUT ARGUMENT, EVEN THOUGH GOD’S COMMAND SEEMED TO CONTRADICT HIS PROMISE. But the Bible does not describe any such struggle. Genesis simply records that God commanded him to offer his son whom he loved, and that he arose early the next morning and proceeded to obey. In Hebrews 11:17, the tense of offered indicates that in purpose and intent, he offered Isaac. He would have done so if God had not stopped him at the last possible moment (F. F. Bruce, Commentary on the Epistle to the Hebrews [Eerdmans], p. 308). Let me emphasize that God has never given such a command, either before or after Abraham’s time. This was unique in all of history. Also, Abraham did not have any portion of the Bible to guide him. I presume that God spoke to Abraham in an audible voice that he clearly recognized. Today, we have God’s complete revelation in His Word. He rarely, if ever, speaks to us audibly. He never commands us to do anything contrary to His written Word. When a demented person says that a voice told him or her to kill someone, it is not God, but Satan, who is speaking! God’s commandments do not contradict His Word. So we must apply Abraham’s example carefully, but we must apply it. The application is this: When God’s Word commands us to do something difficult or distasteful, we must obey promptly, without disputing with God. It may be the command to stay in a difficult marriage, even though you would find great relief in leaving. It may be the command to love a difficult person, or to forgive someone who has greatly wronged you. There are many such difficult commands in the Bible. We will not grow in faith if we dodge them. We must submit to God with prompt obedience if we want to go higher in faith. Also, there are some difficult truths in God’s Word that require submission, not debate, if we want to grow in faith. The doctrine of God’s sovereignty in choosing some, but not all, for salvation causes many to stumble. They think that it contradicts God’s will that none should perish and that it violates human freedom. Because they can’t reconcile these things, they deny what Scripture plainly and repeatedly teaches, that God “has mercy on whom He desires, and He hardens whom He desires” (Rom. 9:18). I believe that such difficult truths are not understood primarily through logic or arguments, but through submission. So, even though God’s command to sacrifice Isaac seemed contradictory to God’s promises and to His love, Abraham submitted himself in prompt obedience. B. ABRAHAM SURRENDERED TO GOD THAT WHICH WAS MOST PRECIOUS TO HIM. It would have been easier for Abraham if God had said, “I’m going to take your life.” And, while Abraham dearly loved Sarah, I’m sure that it would have been easier to let her go than to sacrifice Isaac. Our text uses three phrases to hammer home how difficult it was for Abraham to offer up Isaac. First, it refers to Abraham as “he who had received the promises.” God had repeatedly promised to make of Abraham a great nation. Abraham and Sarah had waited 25 years, from when he was 75 till he was 100, for God to give them Isaac, the son of the promise. After waiting so long, with no hope of any other fulfillment, God finally gave them this special son. But now, He tells Abraham to kill and incinerate this precious son! Second, the text says that Abraham “was offering up his only begotten son.” Abraham had fathered Ishmael, and he would have other sons through Keturah (Gen. 25:1-2, 5-6). So the term does not mean his only son, but rather, his unique son, the son of the promise. It is the same term that John uses of Jesus (John 1:14, 18; 3:16, 18; 1 John 4:9), who is God’s unique Son in a way that no one else is or could be. We all have hopes for our children, not only that they would be protected from danger and outlive us, but also that they might do well in life. But imagine how much greater were Abraham’s hopes for Isaac, the unique son of God’s promise, who had been miraculously conceived after all human hope was gone! To further emphasize the difficulty, verse 18 recites the promise, “In Isaac your descendants shall be called.” How confusing this must have been to Abraham! Before Isaac’s birth, Abraham had asked God to let Ishmael be the son of the promise. God refused, saying, “No, but Sarah your wife will bear you a son, and you shall call his name Isaac; and I will establish My covenant with him for an everlasting covenant for his descendants after him” (Gen. 17:19). So now that Abraham has Isaac, and the boy has grown probably into his teens, God says, “Offer him as a burnt offering!” Nothing was more precious to Abraham than Isaac, and now God asks Abraham to kill him! With the exception of Jesus going to the cross, God has never given a more difficult command to anyone! It’s not easy to apply what I’m about to say, but we all need to work at it: God should be more valuable to me than even the most precious gifts that He has given to me. That’s what Jesus meant when He said, “If anyone comes to Me, and does not hate his own father and mother and wife and children and brothers and sisters, yes, and even his own life, he cannot be My disciple” (Luke 14:26). In comparison with our love for Him, our love for those who are closest to us should seem like hatred. It is so easy to shift your focus from the Giver to the gifts. You pray for a husband or wife, and after years of loneliness, God provides. There is the danger of loving that mate more than you love God! You’re childless, and pray for a child. God answers and gives you a beautiful baby. What if the Lord, in His wisdom and providence, takes that child in death? I admit that losing a child is still my greatest fear, even though my children are all adults now. But we need to face the question: If God took one or all of my children, would I bitterly rage at God? Or would I submit and say with Job, “The Lord gave and the Lord has taken away. Blessed be the name of the Lord” (Job 1:21)? 3. Faith counts on God to keep His promises, even if it requires the humanly impossible. Abraham “considered that God is able to raise people even from the dead, from which he also received him back as a type.” Abraham’s faith in God was so great that he thought, “If God wants me to kill Isaac, then to keep His promise, God will have to raise him from the dead!” This is amazing, in that there had been no resurrections from the dead in world history! The Greek word translated considered comes from a word whose root meaning is numerical calculation. It came to be used metaphorically without reference to numbers to mean, a reckoning of characteristics or reasons (G. Abbott-Smith, A Manual Greek Lexicon of the New Testament [Charles Scribner’s Sons], p. 270). It means to take into account in light of the facts. Abraham did not blindly take a leap of faith. Rather, he considered God’s attributes and character. He is loving, just, and mighty. He never deceives us. He is faithful to keep His covenant promises. He had promised that in Isaac, Abraham’s descendants would be numbered. Isaac did not yet have any children, and yet God now had asked Abraham to sacrifice Isaac. Therefore, God must be planning to raise Isaac from the dead! What logic! Abraham’s thought process shows us how to work through any trial of faith that we encounter. Satan will invariably try to get us to doubt or deny some aspect of God’s character or attributes. He got Eve to doubt God’s goodness by implying that God was keeping back something good in forbidding her to eat the fruit. He sometimes tempts us in times of trial to doubt God’s love. That is why Paul affirms that no trial can separate us from God’s love in Christ (Rom. 8:35-39). Sometimes he tries to get us to doubt God’s sovereignty: “A good and loving God wouldn’t permit the kind of trial that you’re going through.” But, if you fall into that trap, you are giving Satan more power than he has, because he can only go as far in afflicting us as God directly permits him to go (Job 1-2). As we’ve seen, faith is bringing into present reality the things hoped for (God’s promises). It proves things not seen (Heb. 11:1). Faith believes that God “is and that He is a rewarder of those who seek Him” (11:6). With Abraham, faith says, “Even though my current situation seems to go against God’s love and goodness, based on His covenant promises to me, I trust that He will work it all together for good for me.” Or, as Joseph said after all of the rotten things that his brothers had done to him, “you meant evil against me, but God meant it for good” (Gen. 50:20). The last phrase of the verse, that he “received him back as a type,” means, “So dramatic was the sequence of events that it was as though Isaac really had died and had been raised up to life again” (Philip Hughes, A Commentary on the Epistle to the Hebrews [Eerdmans], p. 484). This points us to the real reason that God commanded Abraham to kill his own son: It was a type of what God Himself would do with His Son on the cross. However, the December, 1930 issue reported the tragic deaths of Arthur Tylee, Mildred Kratz (a nurse who had joined the work), and the Tylees’ baby at the hands of the very Indians they loved and served. While the Tylees had made some progress gaining their confidence, conflict developed between the Indians and government workers who were attempting to erect a telegraph line through the area. Evidently the tribe’s animosity towards outsiders confused them and led them to attack the missionaries, who were easy targets as they opened their home to the Indians. Mrs. Tylee was seriously wounded, but survived. She wrote a letter on January 4, 1931, from the very place where she lost her husband, baby, and friend (in Moody Monthly [6/31]). She began by thanking those who had faithfully prayed, assuring them that they were not at fault for the attack. Then she wrote, “We must believe that all happened according to the plan of an all-wise and loving Heavenly Father, even to the smallest detail. I do not say we must understand, but only believe.” She went on to describe the details of the attack, which left her unconscious after witnessing her husband’s murder. That is the summit of faith: When God tests us, to surrender to Him that which is most precious to us, counting that He will keep His promises. May we all climb higher in faith! Why is it important to distinguish between testing and temptation? Why is it sin to rage against God in our trials? How can we know if God is telling us to do something, or whether it is coming from some other source? Does faith mean putting our brains in neutral? How can we know when to stop trying to understand and just to trust? How can we overcome the fear that God may take that which is most precious from us? How do we process this mentally? We who live and die according to faith are exiles on earth, desiring a better country in heaven. I pant for a country by sin undefiled. In our day, our emphasis is far too much on the good life here and now, and not enough on the promised joys of heaven. Thus many that profess Christ as Savior live with their minds on the things on earth, rather than setting their minds on the things above (Col. 3:1-4). They are motivated more by collecting treasures on earth than by storing up treasures in heaven. Our focus is on what Christ can do for us here and now. Heaven is a nice extra, but it does not govern how we live day to day. But, it should! As we’ve seen, the first readers of this epistle were tempted, under the threat of persecution, to go back to their Jewish religion. The implication of our text in its context is that to go back to Judaism would be like Abraham, Isaac, and Jacob going back to settle permanently in Mesopotamia. God had promised them a new country, the land of Canaan. But, being men of faith, they looked beyond that piece of real estate to the heavenly country that God had prepared for them. 1. We who live and die according to faith are strangers and exiles on this earth (11:13-15). A. STRANGERS AND EXILES ON EARTH HAVE SEEN AND WELCOMED GOD’S PROMISES FROM A DISTANCE. (1). WE MUST SEE GOD’S PROMISES. Before we can believe in God’s promises, we must see them. Before we can see them, God must open our spiritually blind eyes (Matt. 13:11-15). 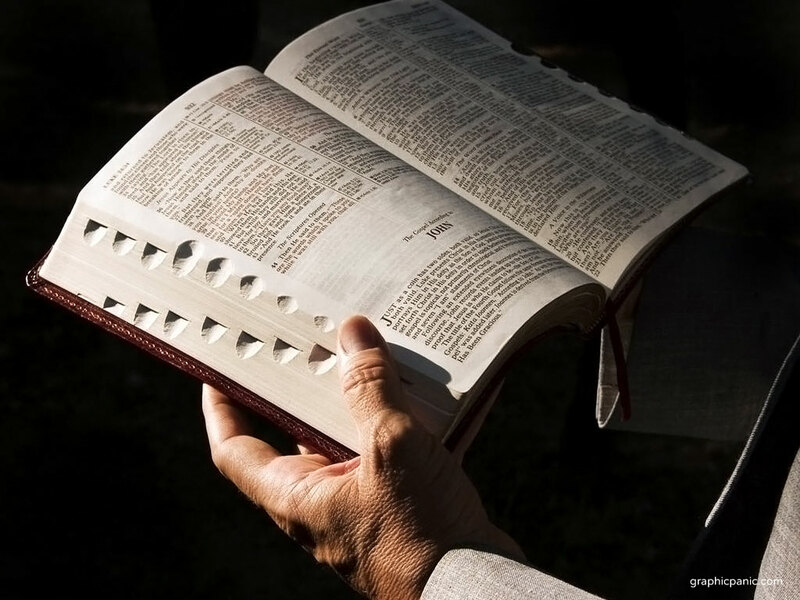 As Paul explains, “the god of this world has blinded the minds of the unbelieving so that they might not see the light of the gospel of the glory of Christ, who is the image of God.” In order for us to see spiritual truth, the God who said, “Light shall shine out of darkness,” has to shine in our hearts “to give the Light of the knowledge of the glory of God in the face of Christ” (2 Cor. 4:4, 6). (2). WE MUST WELCOME GOD’S PROMISES. Having seen God’s promises, the patriarchs welcomed them. (The KJV and New KJV add that they were persuaded or assured of the promises, but there is virtually no manuscript evidence for this reading.) They greeted God’s promises with open arms. They brought God’s promises into their lives as gladly as they welcomed guests into their tents. Have you done that? Have you welcomed Jesus Christ into your life as Savior and Lord? Have you embraced Him as you would a long lost friend? If God has opened your eyes to your true condition as a guilty sinner before Him and to the glory of the Savior who bore the penalty you deserved, then you rush to welcome Him warmly into your life! (3). WE CAN ONLY SEE AND WELCOME THE PROMISES FROM A DISTANCE. What does this mean? It amplifies the opening phrase of the verse, that these men “died in faith, without receiving the promises.” But, Hebrews 6:15 states, “having patiently waited, [Abraham] obtained the promise.” Hebrews 11:17 says that Abraham “had received the promises.” So, in what sense did he not receive the promises, or, receive them at a distance? The author means that the patriarchs did not receive the total fulfillment of God’s promises in this life. They only received a taste of them. Abraham and Sarah finally received the promise of a son in Isaac. But Abraham died with only two heirs according to the promise, Isaac and Jacob, hardly an innumerable nation! Isaac owned a few wells, plus some grazing land for his flocks. But he still lived in a tent and was not in any significant way the heir of the land. Jacob died with about 70 descendants, including his sons, who became patriarchs of the 12 tribes. But they were forced to move out of the land into Egypt, because of the famine. So the patriarchs had a taste of the fulfillment of the promises, but they only welcomed them from a distance. Scripture … habitually put the joys of heaven into the scale against the sufferings of earth, and no solution of the problem of pain which does not do so can be called a Christian one. We are very shy nowadays of even mentioning heaven. We are afraid of the jeer about “pie in the sky,”…. But either there is “pie in the sky” or there is not. If there is not, then Christianity is false, for this doctrine is woven into its whole fabric. So, we must see and welcome God’s promises, although we can only do so in this life from a distance. (4). SEEING AND WELCOMING GOD’S PROMISES ALIENATES US FROM THIS WORLD. The reason that Abraham left his homeland and migrated to Canaan was that he had seen and welcomed God’s promises. If he had ignored God’s promises, he would have continued to live in his native land, where he blended in with everyone else. But because he believed God and obeyed His call, he went out from his family and friends and “lived as an alien in the land of promise, as in a foreign land, dwelling in tents with Isaac and Jacob, fellow heirs of the same promise” (11:9). Have you ever felt like an outsider? Marla and I have felt it when we’ve traveled in Eastern Europe. You can try to blend in, but you still stand out as different. You don’t speak their language. You can’t read the signs or the newspapers. They use different money. You stand out by your appearance. You don’t share or understand many of their customs. While the native believers are very friendly and hospitable, and do everything they can to make you feel welcome, you’re still a stranger. As Christians, we’re supposed to feel that way about living in this evil world. We shouldn’t fit in! The world pursues different goals and pleasures than we do. The world laughs at jokes and scenes in movies that we find repugnant. The world lives for this life only, but we live in light of eternity. The world lives as if there is no God, but we live to please the God who knows our every thought and motive. The world should not be able to understand us, because we think, act, and live so differently than they do. A week ago, on our way to California to visit my family, Marla and I spent a night in Nevada at a hotel that was part of a casino (the room was really cheap!). It was Wednesday and the huge parking lot was jammed with cars and RV’s. Inside, hundreds of mostly senior citizens sat mesmerized in front of the clanging gambling machines. Marla wouldn’t even come in with me to get the room, so I was in there all alone, feeling completely alienated from these people. Why? Because, by God’s grace, I have received and welcomed His promise of eternal life in Jesus Christ. B. STRANGERS AND EXILES ON THIS EARTH HAVE THE OPPORTUNITY TO TELL OTHERS ABOUT OUR HOMELAND. The patriarchs “confessed that they were strangers and exiles on the earth. For those who say such things make it clear that they are seeking a country of their own” (11:13b-14). Confess refers to speech; make it clear comes from a word meaning to exhibit, and may have the nuance of lifestyle or behavior. Country means fatherland or homeland. As Paul explained (Phil. 3:19-20), we are not like those “whose end is destruction, whose god is their appetite, and whose glory is in their shame, who set their minds on earthly things.” Rather, “our citizenship is in heaven”! Since we come from a different country, we talk and act differently than the natives of this world do. When they observe that we are different, we should be ready to tell them why (1 Pet. 3:15). Tell them about God’s promise of heaven for all that believe in Christ, so that they can join us as pilgrims journeying toward our new country in heaven. C. STRANGERS AND ALIENS ON THIS EARTH CANNOT MOVE BACK TO THEIR FORMER COUNTRY. The author is writing to people who were encountering hardships in their new life as Christians. They were tempted to go back to their old religion. So he points out that the patriarchs could have returned to Mesopotamia if they had been looking for an earthly inheritance. The living conditions in their former homeland were probably far more developed than in the land of Canaan. If they had returned, their family and friends would have welcomed them with open arms, whereas in Canaan, they were kept at a distance. But they endured the hardships and didn’t go back because they were seeking a better country, namely, a heavenly one. True, Abraham sent his servant back to the old country to get a bride for Isaac. But he sternly warned him not to take Isaac back there (Gen. 24:6, 8). Jacob fled to the old country for 20 years to escape from Esau’s murderous intentions. But it was never his true homeland. He told Laban, “Send me away, that I may go to my own place and to my own country” (Gen. 30:25). The application is that as believers, we must make a break from our old life and from the world. We live in the world, but we cannot be of the world (John 17:14-18). Often, like Ur of the Chaldees, the world is sophisticated and modern. The church seems old fashioned and out of touch with the latest trends. Especially when we face hardships because of our faith, we may be tempted to go back to the world. But to do so would be to turn away from God’s promises in Christ. We cannot go back! Why not? 2. We who live and die according to faith seek and desire a better country in heaven, prepared by God for us (11:16). There are four aspects of verse 16 that I can only touch on briefly: the better country; the prepared city; the desire that seeks; and, our God who is not ashamed. A. THE BETTER COUNTRY IS HEAVEN. We cannot answer many of our questions about heaven, but we can know for certain that it will be far better than the best existence that we can imagine on this earth. Every problem that we face on this earth is the result of the fall of the human race into sin. In heaven, there will be no curse, no death, no sorrow, and no pain (Rev. 21:4). Think of all of the businesses and jobs that will not be needed in heaven! No doctors or nurses, no police or armed forces, no locksmiths or keys, no need for anti-virus for your computer! Heaven will be beautiful beyond our imagination. Golden streets, walls and gates made out of precious stones, and the clear river of the water of life flowing through it are mere earthly pictures to give us a dim idea of how magnificent it will be. But the best part of heaven is that God Himself will dwell among us as His people (Rev. 21:3)! There will be no need of sun or moon, because the glory of God will illumine it all the time. B. THE PREPARED CITY IS FOR US. The better country and the prepared city are the same thing, viewed from different perspectives. This is the heavenly city with foundations, whose architect and builder is God (11:10; 12:22), “made ready as a bride adorned for her husband” (Rev. 21:2). Many Christians envision heaven as a beautiful country estate, secluded in privacy from all neighbors. But the Bible pictures heaven as a city! We think of cities as dirty, polluted, crowded, run-down places, with graffiti defacing everything. But the heavenly city will be pristine and indescribably beautiful. Earthly cities are dangerous, because of the high crime rate. But the heavenly city will be without sin. In earthly cities, you have to put up with difficult neighbors and rude strangers. But the heavenly city will be a place of close, sweet fellowship with those filled with the love of Christ. Since it will be an eternal city, we will never be pressed for time! Since God prepared it for us (the same word, prepared, is in John 14:2-3), it will be perfectly suited to all of our needs. C. THE DESIRE THAT SEEKS HEAVEN STEMS FROM FAITH. Verse 14 says that these pilgrims “are seeking a country of their own.” Verse 16 says, “they desire a better country.” When you fall in love, you seek to be with your beloved because you desire her company. These are strong motivational words. I have seen young men in college, carrying a heavy academic load and working many hours to pay their bills. They don’t have a minute of spare time. Then, they fall in love. It’s simply amazing how suddenly they have hours every day to spend with this gorgeous creature! They seek her because of desire. We are to seek heaven because we desire to be with Jesus, the lover of our souls. If you are not rearranging your busy schedule so that you can seek the things above, where Christ is (Col. 3:1), you need to examine your heart. You may have left your first love for the Savior, who gave Himself to secure you as His bride. D. THE GOD WHO IS NOT ASHAMED OF US IS OUR GOD. Because these patriarchs desired the heavenly country, “Therefore, God is not ashamed of them [lit. ], to be called their God.” The idea of God being ashamed is startling! It is a figure of speech, using the negative to mean the positive, that God is pleased to be called their God. But even this is startling! When God appeared to Moses at the burning bush, He said, “I am the God of your father, the God of Abraham, the God of Isaac, and the God of Jacob” (Exod. 3:6; see Matt. 22:32). Even though these men were far from perfect, God was pleased to be identified with them. In fact, God is most often called the God of Jacob, who was the least exemplary of the three (Bruce, p. 307). God is the highest good of the reasonable creature; and the enjoyment of him is the only happiness with which our souls can be satisfied.– To go to heaven, fully to enjoy God, is infinitely better than the most pleasant accommodations here. Fathers and mothers, husbands, wives, or children, or the company of earthly friends, are but shadows; but the enjoyment of God is the substance. These are but scattered beams; but God is the sun. These are but streams; but God is the fountain. These are but drops; but God is the ocean.– Therefore it becomes us to spend this life only as a journey towards heaven, as it becomes us to make the seeking of our highest end and proper good, the whole work of our lives; to which we should subordinate all other concerns of life. Why should we labor for, or set our hearts on, any thing else, but that which is our proper end, and true happiness? What is worldliness? How can we avoid it? Where is the balance between being distinct from the world, and yet relating to the world enough to be a witness? How can we develop a deeper desire for heaven? What does it mean (practically) to “seek the things above” (Col. 3:1-4)? Webster defines nitty-gritty as “what is essential and basic: spe- cific practical details” (Websters Ninth New Collegiate Dictionary [Mer- riam Webster], p. 800). If it is impossible to please God without faith (11:6), then we need to be clear on the essentials or basics regarding faith. Our text reveals some of the nitty-gritty of faith. To learn about faith, it makes sense to go to Abraham. He is extolled in Scripture as “the father of all who believe” (Rom. 4:11). Genesis 12-25 chronicles his story. The apostle Paul uses Abraham as his prime example of justification by faith alone, apart from works (Romans 4; Gal. 3:6-18). He makes the startling assertion that it is not Jews by physical birth that are Abraham’s descendants. Rather, those who believe are the true children of Abraham. He says, “Therefore, be sure that it is those who are of faith who are sons of Abraham…. And if you belong to Christ, then you are Abraham’s descendants, heirs according to promise” (Gal. 3:7, 29). Faith obeys God’s call, lives as an alien in this world, and overcomes insurmountable problems by God’s power. 1. Faith obeys God’s call (11:8). “By faith, Abraham, when he was called, obeyed….” In Gene- sis 12:1-3, God called Abram to leave his country, his relatives, and his father’s house, and to go to the land that God would show him. Genesis 12:4 records Abram’s response: “So Abram went forth as the Lord had spoken to him.” God called; Abraham obeyed. A. God’s call initiates our obedience. a line of idolaters (Josh. 24:2). He was about 70 when God called him. While people lived longer then than they do today, he was not a young man. We are not sure exactly how God called Abraham, but Stephen (Acts 7:2) states, “The God of glory appeared to our father Abraham when he was in Mesopotamia, before he lived in Haran.” Apparently, Abraham obeyed God by leaving Ur, but he settled in Haran for a few years until his father died. Then God issued the call of Genesis 12, and Abraham again obeyed by mov- ing on to Canaan. But the point is, Abraham did not concoct on his own the idea of moving to Canaan. He was not following his own dream. He was following Gods call. God’s call was primary; Abraham’s obedience was a response. This teaches us that we should not act on our own, apart from God’s word. Faith must rest on His reve- lation in Scripture. Christianity is not a faith based on the religious speculations or philosophies of men, but rather on God’s revela- tion, recorded in Scripture (2 Pet. 1:20-21). The word call or calling is used often in Scripture with regard to salvation, in two different ways. Sometimes it refers to God’s gen- eral call to everyone to repent and believe the gospel. In this sense, Jesus said, “For many are called, but few are chosen” (Matt. 22:14). But also it is used in a more specific sense to refer to what theologians label, “effectual calling.” Paul uses it this way in Ro- mans 8:30, “and these whom He predestined, He also called; and these whom He called, He also justified; and these whom He justi- fied, He also glorified.” In a similar manner, he wrote that God “has saved us and called us with a holy calling, not according to our works, but according to His own purpose and grace which was granted us in Christ Jesus from all eternity” (2 Tim. 1:9; see also, Gal. 1:15; 2 Thess. 2:13-14; Heb. 9:15; 1 Pet. 2:9; 2 Pet. 1:3). When God calls His elect effectually, He works through His Spirit to draw them to faith in Christ (John 6:44). It was in this effectual sense that God called Abraham to fol- low Him. He did not issue the call to the entire city of Ur, and not even to Abraham’s father or brother. He called Abraham specifi- cally, and responding to this effectual call, Abraham obeyed. “By faith Abraham … obeyed.” Genuine faith always obeys God. We are saved by faith alone, but saving faith is never alone. By its very nature, it results in obedience. If someone professes, “I believe,” but does not obey, his faith is superficial and worthless. For example, if you say, “I believe that seat belts save lives,” but do not buckle up and you’re involved in a crash, your “belief” was worthless. If you really believe that seat belts save lives, you will buckle up. Buckling up demonstrates the reality of your faith. Genuine saving faith is obedient faith. Paul refers to it as “the obedience of faith” (Rom. 1:5; 16:26; see John 3:36, NASB). Jesus warned, “Not everyone who says to Me, ‘Lord, Lord,’ will enter the kingdom of heaven, but he who does the will of My Father who is in heaven will enter” (Matt. 7:21). He told the Jews who claimed Abraham as their father, but sought to kill Him, “If you are Abra- ham’s children, do the deeds of Abraham” (John 8:39). Obedience proves that faith is genuine. Abraham’s obedient faith caused him to go “out to a place which he was to receive for an inheritance; and he went out, not knowing where he was going” (Heb. 11:8). God didn’t tell him un- til later that the destination was Canaan. He didn’t send color bro- chures picturing the bountiful harvest of the land or describing the pleasant climate. There was no home awaiting him when he arrived from the long journey. He had to leave his culture, his familiar way of life in Ur and later in Haran, his friends, his family, and his earthly inheritance. It was a long and dangerous trip, made without U-Haul or Interstate highways. But Abraham obeyed, risking eve- rything on God’s word of promise. Obedient faith abandons all to follow Jesus Christ. When Je- sus called Levi, the tax collector, to follow Him, Levi “left every- thing behind, and got up and began to follow Him” (Luke 5:28). The call to follow Jesus is identical with the call to salvation: “If anyone wishes to come after Me, he must deny himself, and take up his cross daily and follow Me” (Luke 9:23). In the context, Jesus is talking about gaining or losing one’s soul for eternity. 14:26). He did not mean that we should despise or needlessly alien- ate our families. The Bible commands us to honor our parents and to love our families. New Christians especially need to be sensitive and show respect to family members who oppose the faith. But Jesus did mean that if our closest loved ones stand between us and Him, our choice is clear: We must follow Him. Sometimes, even those from Christian homes face subtle or even direct pressure not to follow Christ fully. Sometimes parents want their children to get high-paying jobs (which excludes most Christian service). Some parents don’t want their children to go to the mission field, because they want them and the grandchildren nearby. But the Lord makes it clear: If it comes to love for Him versus love for family, we must follow Him. God’s call often entails other difficulties. Remember, by God’s call, I’m not referring to some special call for service that comes only to some. I’m referring to God’s call to salvation. It may result in rejection or persecution. It will involve bringing all your possessions and money under His lordship (Luke 14:33). It requires obeying God’s Word when it’s inconvenient and difficult. It means seeking God’s will rather than your will in every decision. Have you done that? You may be thinking, “That’s risky!” But actually it’s riskier to run your own life than it is to obey God’s call by faith. God knows everything about you. He is committed to work all things together for good for those who love Him and are “called according to His purpose” (Rom. 8:28; note, called). If you’re calling the shots, you don’t know what is best in every situa- tion, and you have no ability to control the outcome of things. But God always knows what is best and He has the power to work it out for your ultimate good. Imitate Abraham, who by faith obeyed God’s call. 2. Faith lives as an alien in this world (11:9-10). cept for the Cave of Machpelah, which he had to buy at full cost to bury his wife. Kent Hughes pictures it as if God promised you and your de- scendants the land of Guatemala. In obedience, you traveled there, but then you had to live the rest of your life in your camper! Not only you, but also your sons’ families lived in their campers, mov- ing from place to place (Hebrews: An Anchor for the Soul [Crossway], 2:97). John Calvin asks, “Where was the inheritance which he had expected? It might have indeed occurred instantly to his mind, that he had been deceived by God” (Calvins Commentaries [Baker], He- brews, p. 279). He goes on to point out that just after Abraham arrived in the land of promise, there was a famine that drove him from the land. But he returned and lived in the land by faith alone. The application is that as people of faith, we often must live in this world with conditions that seemingly contradict God’s prom- ises (see 11:35b-39). The “health and wealth gospel” does not square with Scripture. Sometimes God’s people face tribulation, distress, persecution, famine, nakedness, peril, and even death (Rom. 8:35; see also 2 Cor. 6:4-5; 11:23-28). Paul described himself “as having nothing, yet possessing all things” (2 Cor. 6:10). Abraham, the alien in a foreign land, dwelling in tents, stands in contrast with his nephew Lot, who moved to Sodom and lived in a house. Although Lot was a believer, he became tainted by the godless values of Sodom. Abraham, the alien, was involved with his neighbors in Canaan, but he always remained distinct. As pilgrims, we need to adopt the mindset of pilgrims. When you travel in a foreign country, you stand out as different. They can spot you! They know that you are not one of them. You may tem- porarily adopt some of their local customs, so as not to be offen- sive, but on most things you think and live differently, according to the customs of your homeland. hopes center in Jesus Christ and their eternal inheritance in Him. So they hold the things of this life loosely. They enjoy all that God provides, but their real treasures are in heaven (1 Tim. 6:17-19). Abraham “was looking for the city which has the foundations, whose architect and builder is God.” (The Greek has the definite article before “foundations.”) The city with the foundations stands in contrast with life in a tent, which has no foundation. Since God is both the architect and builder of this city, the foundations are solid and secure. It refers to the city above, the heavenly Jerusalem (12:22), the eternal dwelling place of all of God’s saints (Rev. 21). The author of Hebrews is saying that when Abraham went out from his father’s country to Canaan, he was not just counting on God’s promise for that piece of real estate. He was looking be- yond it to the promise of heaven. God promised the land of Ca- naan to Abraham’s descendants (Gen. 17:8) and He later gave them that land (Josh. 23:13-14). But the land was never the final or full realization of the promise. It was only an earthly picture of the full promise, which is the eternal city that God has prepared for His people (11:16). Abraham viewed himself as a stranger and so- journer in the land of Canaan (Gen. 23:4). His focus was on heaven, and so should ours be. 3. Faith overcomes insurmountable problems by God’s power (11:11-12). Abraham and Sarah were unable to conceive children. God promised them not only a son, but also nations of descendants. To underscore the promise, God changed his name from Abram (“ex- alted father”) to Abraham (“father of a multitude”). Then God promised, “I will make you exceedingly fruitful, and I will make nations of you, and kings will come forth from you” (Gen. 17:5-6). But the problem was, not only were Abraham and Sarah unable to conceive children; also, they were both past the time in life when anyone normally could conceive. A. Ratherthanfocusingonhumanimpotence,faithfocuses on God’s power and faithfulness (11:11). In Genesis 18:14, the Lord rebukes Sarah’s unbelief with the rhetorical question, “Is anything too difficult for the Lord?” He goes on to restate the promise, that at the appointed time the next year, Sarah would have a son. She and Abraham rested on God’s faithful character. Since He promised, He would do it. We need to be careful in applying this. It is easy to misapply promises in the Bible out of their context, and then become disap- pointed when God doesn’t do what we think He promised. The problem does not lie with God, of course, but with our misunder- standing of how to apply His promises. disease to those who believe. If He had, people of faith would live forever. I’ve never known of a faith healer that lived past 100! In fact, several prominent ones died relatively young! At the same time, we would be wrong not to trust God to do far beyond our human abilities. Nothing is impossible with God (Luke 1:37). He is “able to do far more abundantly beyond all that we ask or think” (Eph. 3:20). Our faith is not in ourselves or in our faith, but in God who is faithful. B. 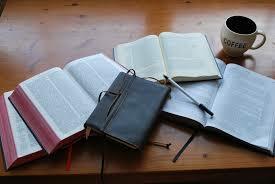 Rather than focusing on answers in this life, faith trusts God to keep His word in His time (11:12). What did Abraham get in this life for his life of faith? He was uprooted from family and friends, never to see them again. If he had a house in Ur or Haran, it was his last. He lived the rest of his life in tents, moving from place to place. He lived to see Isaac, the son of the promise, born. He lived 15 years after the birth of Jacob, but he didn’t see any of Jacob’s sons. He did not live long enough to get even a hint of the fulfillment of God’s promise to multiply his descendants as the stars or the sand. The only piece of Canaan that he owned was a burial plot. As 11:13 states, he “died in faith, without receiving the promises.” As we’ve already seen, Abraham’s faith was focused on eternity, not on this life only. One of the most important lessons in the school of faith is to learn that God’s time is not our time. From Abraham’s time frame, even though he lived for 175 years, God’s promises failed. He died with one son and two grandsons, hardly an innumerable nation! But from God’s time frame, the true children of Abraham, those who believe in Abraham’s seed (Christ) number in the billions! From our limited time frame, certain events don’t fit with God’s promises. But from His time frame, He who promised is faithful. the orphans known only to God in prayer. They often faced insur- mountable problems that were overcome by faith in God’s power. “Very well,” said Muller, “if your ship cannot take me, God will find some other way—I have never broken an engagement for 52 years. Let’s go down to the chart room and pray.” The captain wondered what lunatic asylum Muller had escaped from. Muller knelt down and prayed simply. When he had finished, the captain was about to pray, but Muller put his hand on his shoulder, and told him not to: “First, you do not believe He will; and second, I believe He has, and there is no need whatever for you to pray about it.” The captain looked at Muller in amazement. I wish I could tell you stories like that from my own experi- ence, but I cannot. But George Muller and Abraham should chal- lenge us to grow in the life of faith in the God who is faithful. Obey God’s call to salvation by faith. Live as an alien in this world by faith. Ask God by His power to overcome the insurmountable problems you face by faith. Isthecalltodiscipleship(followingChrist)differentthanthe call to salvation? What difference does it make? Whyissavingfaithnecessarilyobedientfaith?Howwouldyou answer the charge that this confuses faith and works? HowcanweknowifspecificpromisesintheBibleapplydi- rectly to us today? Earlier this week, hundreds of thousands of people that live along the Gulf Coast abandoned their homes and fled for their lives from Hurricane Ivan as it headed toward the U.S. mainland. I heard on the news Wednesday morning that the State of Alabama had turned all four lanes of Interstate 65 into one-way northbound, to accommodate the thousands that were escaping. It would be wonderful if people responded to God’s warnings about future judgment with that same fervor! The Bible isn’t fuzzy about the threat. The apostle Paul told the Athenians, God “has fixed a day in which He will judge the world in righteousness through a Man whom He has appointed, having furnished proof to all men by raising Him from the dead” (Acts 17:31). The entire last book of the Bible is largely devoted to the theme of future judgment. Millions have read with fascination the “Left Behind” series that portrays the coming judgment. But how many are fleeing from the wrath to come? To be saved, we must by faith obediently respond to God’s warnings of future judgment. Our text reveals the basis, the effects, and the consequences of Noah’s faith. The author wants us to be imitators of this man, who through faith and patience inherited the promises (6:13). Of all the examples in Hebrews 11, this is the only one in which the unseen future involves judgment, rather than rewards. It shows us that faith regards both God’s warnings and His promises. God only brings judgment after multiple warnings, but many will be surprised when judgment comes, because they ignored the warnings. But, people of faith heed the warnings. 1. The basis of Noah’s faith: He believed God’s word regarding the coming judgment. A. GOD’S WORD OF WARNING CONCERNS THINGS NOT YET SEEN. God warned Noah “about things not yet seen,” and His warning would have seemed incredible. Before Noah’s day, there had never been a flood and probably it had never even rained. A vapor canopy may have covered the earth, and a mist used to rise from the earth and water the ground (Gen. 2:5-6). And so the warning about a flood that would kill all life on earth was unprecedented and unseen. This ties in with 11:1, that faith is “the proof of things not seen.” Faith hears the word of the unseen God regarding events that are not yet seen and brings them into present experience. Alexander Maclaren put it, “The far-off flood was more real to him than the shows of life around him. Therefore he could stand all the gibes, and gave himself to a course of life which was sheer folly unless that future was real” (Expositions of Holy Scripture [Baker], on Gen. 6:9-22, p. 54). B. GOD’S WORD OF WARNING CONCERNED JUDGMENT THAT WAS DELAYED, BUT ABSOLUTELY CERTAIN. Enoch named his son Methuselah, which means, “when he is dead, it will come.” What will come? If you do the math in the genealogies of Genesis, you discover that Methuselah died in the year of the flood! When Methuselah was dead, God’s judgment came! Do you know why Methuselah lived the longest of any recorded human life? It is to show God’s great patience before He brought judgment on this wicked earth. In Genesis 6:3, God said, “My Spirit shall not strive with man forever, because he also is flesh; nevertheless his days shall be one hundred and twenty years.” This probably means that there would be 120 years until the judgment of the flood. The earth was so wicked that, without apology, God could have judged it on the spot (Gen. 6:5). But in His grace and patience, He delayed judgment for over a century, while Noah built the ark (see 1 Pet. 3:20). Peter tells us that in the end times, mockers will say, “Where is the promise of His coming? For ever since the fathers fell asleep, all continues just as it was from the beginning of creation.” But, as Peter goes on to explain, “The Lord is not slow about His promise, as some count slowness, but is patient toward you, not wishing for any to perish but for all to come to repentance” (2 Pet. 3:4, 9). So the delay of God’s judgment is because of His great patience and grace. But don’t mistake the delay for uncertainty! Noah could have thought, “One hundred and twenty years is a long ways off,” and procrastinated on building the ark. But he didn’t do that. As soon as he heard God’s warning about the coming judgment, he went to work building the ark. It took him over a century to complete, but he kept at it. It seemed crazy to the world, but it all suddenly made sense when the sky began to pour rain and the fountains of the deep opened up. But then it was too late! Jesus said, “For the coming of the Son of Man will be just like the days of Noah. For as in those days before the flood they were eating and drinking, marrying and giving in marriage, until the day that Noah entered the ark, and they did not understand until the flood came and took them all away; so will the coming of the Son of Man be” (Matt. 24:37-39). The people of Noah’s day went on with the normal activities of life, oblivious to the repeated warnings of judgment, until it was too late. The Book of Revelation shows that this evil world will be going on full steam ahead, doing business, pursuing pleasure, and scoffing at the idea of a coming judgment. But in one hour, judgment will fall. It will be thorough and completely devastating (Rev. 18:8, 10, 17). The basis of Noah’s faith was God’s word of warning about things not yet seen. These things were delayed, but certain. C. GOD’S WORD OF WARNING REQUIRED FAITH IN THE FACE OF THE WORLD’S CONDEMNATION. The bottom line for Noah was either to believe the evil people around him, who seemed to be having a great time sinning, or to believe what God said about the coming judgment. As far as Scripture records, he had no others to stand with him, except for his immediate family. Although Scripture does not record it, there can be no doubt that the world would have ridiculed a man who spent a fortune over a century building a huge ship on dry ground, miles from any ocean! It must have been the best entertainment for miles around, to go over and watch old Noah work on his ship! There are some pretty crazy men in this world, but Noah had to be near the top of the list! But in spite of having no friends to support him in his labors, and in spite of over a century of being thought of as the world’s greatest nut case, Noah believed the word of God. That is the kind of faith that escapes the judgment that is yet coming on this evil world. You must stand alone, if need be, against the mockery of the world, and believe that God’s Word is true! The basis for Noah’s faith and for ours is the word of God. Count it as true! 2. The effects of Noah’s faith: Out of reverential fear, he steadfastly obeyed God’s directive about salvation. Verse 7 continues, “in reverence [Noah] prepared an ark.” Noah’s faith changed his affections; and, it changed his actions. A. NOAH’S FAITH CHANGED HIS AFFECTIONS (EMOTIONS). Noah’s faith in God’s warning moved him to reverential fear of God. Noah did not just fear the impending judgment; he also feared the God who threatened such judgment, knowing that He is fully capable of bringing it about. The God who spoke the universe into existence out of nothing (11:3) is quite capable of commanding a flood to destroy all human life on earth. He is able to bring the terrible judgments described in the Book of Revelation. Faith in this omnipotent God should move our hearts to reverential fear. Jonathan Edwards, in his Treatise Concerning Religious Affections, develops the thesis, “True religion, in great part, consists in holy affections” (in The Works of Jonathan Edwards [Banner of Truth], 1:236). He means that genuine religion is not just a matter of the head, but also of the heart. If we have genuine faith in God, we will not only be moved by love in response to His great love; we also will be moved by reverential fear in response to His holiness and His warnings of the judgment to come. Sometimes we who are not Pentecostals are uncomfortable with any show of emotion in spiritual things. We’ve encountered people who gush with emotion, but their understanding of biblical truth is shallow, at best. But, it is a mistake to swing to the other extreme of denying the validity of emotions in response to the truth. God’s truth should not only fill our heads; it should grip our hearts. Alexander Maclaren said, “Do not be afraid of feeling which is the child of faith. Be very much more afraid of a religion that leaves your heart beating just exactly at the same rate that it did before you took the truth into it” (ibid., on Heb. 11:7, p. 117). But, Noah didn’t stop with his affections. B. NOAH’S FAITH CHANGED HIS ACTIONS (BEHAVIOR). “In reverence [he] prepared an ark for the salvation of his household.” There is a whole lot of obedience packed into that short phrase, “he prepared an ark”! Sometimes you hear about a guy who builds a fishing boat in his back yard, but Noah built an ocean liner! It was 450 feet long, 75 feet wide, and 45 feet high! Can you imagine what Mrs. Noah must have thought when her husband told her what he planned to do? This wasn’t a weekend hobby; it was all-consuming for 120 years! Think of the excuses that Noah (not to mention Mrs. Noah) could have used to argue with God: “It will cost too much!” “It’s not feasible!” “It will take too long!” “How will I support my family while I’m building this thing?” “A boat that size will never float.” But Noah set aside all excuses and persevered in obedience until it was done. Twice Genesis reports that Noah did according to all that the Lord had commanded him (Gen. 6:22; 7:5). Some may think of faith as an ethereal, impractical sort of thing. But Noah’s faith took up axe, hammer, and saw and built a ship in his back yard! His faith cost him a lot of time, money, and ridicule for over a century. Peter tells us that Noah was a preacher of righteousness (2 Pet. 2:5). Perhaps he stopped his work at times to preach to the mockers who gathered to watch this incredible sight. But he didn’t allow the jeers to stop him. His faith caused him to do all that God had commanded him. There are those who argue that you can believe in Jesus Christ as your Savior, but that it is not necessary for salvation to receive Him as your Lord. They are sincerely trying to hold to the biblical teaching that salvation is through faith alone, apart from any works. Noah could have said, “I believe that God is going to judge the whole world with a terrible flood.” But if he had not built the ark and climbed on board, he would have perished in the flood. To save himself and his household from the flood, Noah had to translate his faith into what Eugene Peterson called, “a long obedience in the same direction” (the phrase comes from Nietzsche; see, A Long Obedience in the Same Direction [IVP], p. 13). In the same way, a faith that saves us from the wrath to come, out of reverential fear, persists in obedience to Jesus Christ. The basis of Noah’s faith was that he believed God’s word about the coming judgment. The effects of his faith were a change in his affections and in his actions. 3. The consequences of Noah’s faith: He saved his family, he condemned the world, and he became an heir of the righteousness according to faith. A. BY FAITH, NOAH SAVED HIS FAMILY. The story in Genesis does not mention the spiritual salvation of Noah’s family, but only about the fact that they were saved from drowning in the flood. But at the very least, his wife and sons and their wives, must have believed enough in what Noah told them to join him in the ark. His sons were all born after he began to build the ark (compare Gen. 5:32; 6:3; 7:6). But as they grew up, it would have been easy for them to become embarrassed about their weird father and be swayed by the taunts of the world. They could have moved to a different locale, distanced themselves from their father, and they would have perished in the flood. They believed enough to stay with him and get on board when God gave the command. Noah’s faith in God had a powerful effect on his family. Scripture gives no absolute guarantees that all of our children will be saved. Proverbs 22:6 says that if we train them in the way they should go, when they are old they will not depart from it. But like all of the proverbs, that is not a guaranteed promise. It’s a general rule. But while we have no guarantees, the Bible is clear that a godly father has a powerful influence on his children (see also, Deut. 7:9; Psalms 112, 127 & 128). The Bible declares that Noah was a righteous man of integrity (“blameless”), who walked with God (Gen. 6:9). Dads, if you will be such a man, it will be a powerful influence toward saving your children from this evil generation. B. BY FAITH, NOAH’S LIFE AND WORDS CONDEMNED THE WORLD. Noah condemned the world in the sense that his righteous life of faith exposed their unrighteous lives of unbelief, thus aggravating their guilt (see Matt. 12:41-42). Noah didn’t have a judgmental, holier-than-thou spirit. He knew that he was a sinner saved by God’s grace. But his life of obedient faith was like a bright light taken into a dark cave. It exposed all of the bats hanging in there! If it hadn’t been for Noah, perhaps someone from that godless generation could have argued, “But I never knew how to live in a godly manner. I never heard about God’s impending judgment.” But Noah robbed them of all their excuses. As Christians, we should never display a judgmental spirit towards this sinful world. Except for God’s grace, we would still be in our sins. But, as light in the Lord, it is inevitable that we will expose the evil deeds around us. In Ephesians 5:3-12, Paul instructs us that no immorality, impurity, or greed should even be mentioned among us, as is fitting among saints, and no filthiness or coarse jesting. He explains, “Because of these things the wrath of God comes upon the sons of disobedience.” He goes on to tell us to walk as children of Light, not participating in the unfruitful deeds of darkness, but instead to expose them. C. BY FAITH, NOAH BECAME AN HEIR OF THE RIGHTEOUSNESS ACCORDING TO FAITH. The word righteous is used in two ways in the Bible. It is used of the righteousness of faith, or imputed righteousness (Rom. 3:21-4:25). When a person trusts in Christ as his sin-bearer, God credits the righteousness of Jesus Christ to his account. This is a judicial action, where God not only declares us “not guilty,” but also “positively righteous,” because we receive an alien righteousness, that of Jesus Christ. We saw this with regard to Abel (Heb. 11:4). That is how the word is used of Noah in our text. The word righteous is also used of the right conduct that stems from being declared righteous by faith. When Genesis 6:9 says that Noah was righteous and blameless, it is referring to his godly life that flowed out of his being justified by faith. He did not find favor with God (Gen. 6:8) because of his righteous life (Gen. 6:9). Rather, because he found favor (grace) with God, he lived a righteous life. Noah was an heir of the righteousness according to faith in the sense that he possessed the title to it, but he didn’t receive the reward of the inheritance until he died. As believers in Christ, we are heirs with Him (Rom. 8:17), but we don’t actually get the inheritance until we are with Him in heaven. God has issued a clear warning: A “Category 5” storm of judgment is heading toward everyone who dwells on earth! The door of His ark is still open. Flee to Christ and you will be saved. Scoff at the warning and you will be lost forever. Imitate Noah’s faith and obedience. Join him as an heir of the righteousness according to faith. Faith believes and obeys God’s word. But, how can we know God’s word on decisional matters? Where is the balance between accepting God’s love and yet fearing Him? Advocates of non-lordship salvation argue that lordship salvation confuses faith and works. How would you refute this? How separate from the world should we be? What constitutes “worldliness”? Where do we cross the line? Proverbs 14:12 states, “There is a way that seems right to a man, but its end is the way of death.” Those words apply to this matter of spiritual life and death. Since the earliest times, there has been a way that has seemed spiritually right. In various forms, it is the way of all of the world’s major religions. It is even the way of two of the major branches of Christendom. It is the way of self-righteousness and good works. In one form or another, it believes that if a person is sincere and does his best, God will overlook his faults, accept his good works, and let him into heaven. The Bible calls this “the way of Cain” (Jude 11). The Bible is clear: “by the works of the Law no flesh will be justified” (Gal. 2:16). Salvation by human goodness or works is impossible (Eph. 2:8, 9). By faith in God’s revelation, we obtain His witness that we are righteous, so that our lives count for eternity. Why did the author of Hebrews begin his list of heroes of the faith with Abel? His concern was that some of his readers might not have a faith that would endure the looming persecution. He was hoping the best, that “we are not of those who shrink back to destruction, but of those who have faith to the preserving of the soul” (10:39). But he knew that there could be some in the Hebrew church that would turn away from faith in Jesus Christ and go back to the Jewish faith. Rightly understood, that Jewish faith pointed to and was fulfilled completely in Christ, as the author argues in the first ten chapters. But to abandon Christ now that He has come and go back to the religion that pointed to Him would be to abandon God’s only way of salvation. The story of Cain and Abel clearly contrasts man’s way of salvation with God’s way, which is by faith alone in Christ alone. Abel’s faith teaches us five vital lessons related to the question of how we can be right with the holy God. 1. Faith is always an obedient response to God’s revelation. “By faith Abel offered to God a better sacrifice than Cain….” Scholars have suggested a number of reasons why Abel’s sacrifice was better than Cain’s: “it was living, whereas Cain’s was lifeless; it was stronger, Cain’s weaker; it grew spontaneously, Cain’s by human ingenuity; it involved blood, Cain’s did not” (Leon Morris, Expositor’s Bible Commentary, ed. by Frank Gaebelein [Zondervan], 12:115, summarizing F. F. Bruce). The Genesis account simply says, “the Lord had regard for Abel and for his offering; but for Cain and for his offering He had no regard” (Gen. 4:4-5). The only hint of a reason is when the Lord tells Cain, “If you do well, will not your countenance be lifted up?” (Gen. 4:7). We are not reading too much into the story to infer that God had made this plain to Adam and Eve after they sinned. Their sin caused them to be ashamed of their nakedness, and so they sewed together fig leaves to try to cover that shame. But God did not accept their fig leaves. Instead, He clothed them with garments made of animal skin (Gen. 3:7, 21). Undoubtedly, at that time He explained to them four things. First, to stand before the holy God, they needed a proper covering. Second, humanly manufactured coverings were not adequate. Third, God would provide the necessary covering apart from their efforts. Fourth, the only acceptable covering for their sin required the death, or shedding of blood, of an acceptable sacrifice (adapted from A. W. Pink, An Exposition of Hebrews [Ephesians 4 Group, CD], p. 658). In Abel’s sacrifice, the way of the cross was first prefigured. The first sacrifice was Abel’s lamb—one lamb for one person. Later came the Passover—with one lamb for one family. Then came the Day of Atonement—with one lamb for one nation. Finally came Good Friday—one Lamb for the whole world (The MacArthur New Testament Commentary, Hebrews [Moody Press], p. 301). So Abel’s sacrifice was better than Cain’s because he offered it in obedient faith to what God had clearly revealed. God rejected Cain’s sacrifice because he did not offer it by faith, and “without faith, it is impossible to please God” (Heb. 11:6). 2. Faith in God’s ordained sacrifice is the only way for sinners to approach Him. Paul said, “For the word of the cross is foolishness to those who are perishing, but to us who are being saved it is the power of God.” A few verses later, he said, “For indeed Jews ask for signs and Greeks search for wisdom; but we preach Christ crucified, to Jews a stumbling block and to Gentiles foolishness, but to those who are the called, both Jews and Greeks, Christ the power of God and the wisdom of God” (1 Cor. 1:18, 22-24). People who think that they’re basically good do not need a Savior to die in their place. They may appreciate a good example to follow, but the idea of Jesus shedding His blood for their sin offends them. But those whom God has convicted of their sin and whose eyes He has opened to see His absolute holiness and justice, recognize their need for a sacrifice to pay for their sins. They gladly bow at the foot of the cross, acknowledging Jesus to be the Lamb of God who bore their sins. Thus, faith is always an obedient response to God’s revelation. God has revealed that Jesus is His ordained sacrifice, the only way for sinners to approach Him. 3. Faith in God’s ordained sacrifice obtains His testimony that the sinner is righteous. The text says, “through which he obtained the testimony that he was righteous, God testifying about his gifts.” Some say that the antecedent of through which is Abel’s faith, whereas others say that it was his sacrifice. But since he offered his sacrifice by faith, it doesn’t matter. We do not know how God testified that Abel’s sacrifice was acceptable, whereas Cain’s was not. Many reputable scholars down through the ages have believed that God sent fire from heaven to consume Abel’s sacrifice, as He did on subsequent occasions (Lev. 9:23, 24; Judges 6:21; 13:19, 20; 1 Kings 18:30-39; 2 Chron. 7:1; the list is in Philip Hughes, A Commentary on the Epistle to the Hebrews [Eerdmans], pp. 455-456). But all that Genesis states is that God had regard for Abel’s offering, but not for Cain’s. Also, Jesus referred to Abel as, “righteous Abel” (Matt. 23:35). We know (from 1 John 3:12) that Abel lived righteously, whereas Cain’s life was marked by evil deeds. But it would be a huge mistake to conclude that God accepted Abel’s sacrifice on the basis of his righteous life, or that He rejected Cain’s sacrifice because of his evil life. For one thing, our text indicates that Abel offered his sacrifice by faith, not on the basis of his righteous life. Also, Scripture teaches that God justifies (= “declares righteous”) sinners by their faith, not by their works. As early as Genesis 15:6, Scripture states of Abraham, “Then he believed in the Lord; and He reckoned it to him as righteousness.” Paul cites that text to prove that Abraham was not justified by works, and then explains, “Now to the one who works, his wage is not credited as a favor, but as what is due. But to the one who does not work, but believes in Him who justifies the ungodly, his faith is credited as righteousness” (Rom. 4:4-5). Once the sinner has trusted in Jesus Christ as God’s ordained sacrifice for his sins, his life will become progressively righteous in behavior as a result. But such a godly life begins at the point when the sinner trusts in Christ. To reverse this order and say that God declares us righteous on the basis of our good works is to deny the gospel (Gal. 1:6-9). Many Christians naïvely think that if they ever incur persecution, it will come from wicked atheists who despise religion. While that sometimes happens, it is much more common for persecution and opposition to come from the religious crowd. 4. Faith in God’s ordained sacrifice incurs the opposition of the self-righteous. To understand the story of Cain and Abel, we have to remember that Cain was not an atheist. He was a religious man who believed in God. He brought a sacrifice in order to worship God, although in his own way. An irreligious atheist never would have brought a sacrifice at all. Such a person probably would have shrugged off his brother’s sacrifice as a silly, meaningless superstition. But it wouldn’t have offended him. What offended Cain was that he self-righteously thought that his sacrifice was good enough, even though it was not what God had commanded. When God rejected his sacrifice, Cain became angry and depressed. He refused to listen to God’s corrective rebuke, and his anger spilled out on his brother, who had obeyed God by faith. By bringing his own sacrifice as the way to approach God, Cain became the father of all false religion. False religions reject the cross. It offends them because it confronts their self-righteousness. Those in false religions take pride in their own goodness and their own works. They reject the idea that they are sinners in need of a Savior who shed His blood. Or, if they accept the cross (as the Roman Catholic and Orthodox Churches do), they still want to add their good works to it as a partial means of salvation. But to add human works detracts from the total sufficiency of Christ’s death on the cross and gives sinners grounds for boasting in their works. It was the religious Pharisees who crucified Jesus. It was the self-righteous Judaizers who went after Paul because he proclaimed that the pagan Gentiles could be justified by faith alone. The cross wipes out any room for boasting in your good works. Those who take pride in the flesh persecute those who boast only in the cross (Gal. 4:29; 6:12-14). 5. Faith in God’s ordained sacrifice results in a life that counts for eternity. When you contrast the first three examples of those who lived by faith, you see that a life of faith results in very different circumstances, depending on God’s sovereign purpose. The first man on the list became the first murder victim! If you are following Jesus for all the benefits that He will give you in this life, you may be in for a rude awakening! Abel isn’t exactly an example of a long, happy life. And yet the second man on the list was one of only two men in all history who never died! Enoch was taken directly into heaven. The third man, Noah, lived for 950 years, and was delivered from the flood. Most of us would sign up for the Enoch or Noah track, but we’re not interested in the Abel track! But the author of Hebrews wants us to realize that the rewards of faith are not necessarily in this life. He will shortly mention those who “died in faith, without receiving the promises” (11:13). He gives a long list of those who won impressive victories by faith (11:33-35a). But right in the middle of verse 35, without skipping a beat, he lists those who were tortured, mocked, scourged, imprisoned, stoned, sawn in two, put to death by the sword, who went about destitute, ill-treated, and homeless because of their faith! If we’re banking on a good life here and now, faith in God may not be the way to go. But, if we have God’s eternal perspective, it’s the only way to live. In Revelation 6:9ff., John sees a vision of the saints in heaven who have been slain because of their testimony. They are crying out to the Lord, “How long, O Lord, holy and true, will You refrain from judging and avenging our blood on those who dwell on the earth?” The Lord gives them each a white robe and tells them to rest a while longer, until the number of martyrs yet to be killed is completed. Then He will bring judgment. Abel’s blood speaks to us about the fact that although we may be mistreated in this world, God is the righteous judge who will right all wrongs and bring justice on behalf of His elect. Second, Abel still speaks to us by his life, apart from any words. We have no recorded words that Abel spoke, and yet thousands of years after his death, he still speaks. This shows us the power of a godly life, not only in his lifetime, but also on successive generations. While we should not discount the importance of godly speech, neither should we disregard the power of a godly example, especially in the home. If the fruits of the Spirit—love, joy, peace, patience, kindness, goodness, faithfulness, gentleness, and self-control—are evident in your life, then your words will connect with power. But if your life does not demonstrate these qualities, your words will be in vain. Finally, Abel still speaks to us about the fact that the measure of a life is not necessarily its impact during the person’s lifetime, but over history. Viewed from his lifetime, Abel’s life was wasted. He died young, without accomplishing anything. But countless generations have looked at his faith and learned that even if we suffer and die for the cause of righteousness, it is not in vain. Cain apparently lived a long and relatively prosperous life on earth. He built cities and fathered many children who were successful in worldly terms. But Cain’s life was the wasted one. Abel was the true success. Luther observed that when Abel was alive, he “could not teach even his only brother by his faith and example,” but “now that he is dead [he] teaches the whole world.” He concluded, “He is more alive than ever! So great a thing is faith! It is life in God” (in Hughes, p. 457). She wrote that the prayers of the widows themselves were for the Aucas. “We look forward to the day when these savages will join us in Christian praise” (ibid.). In March, 2003, I had the privilege of hearing one of the men who murdered Nate Saint speak through the translation of Nate’s son, Steve, whom this murderer-turned-worshiper by God’s grace had baptized. I heard him sing a praise song in his native tongue. By faith, those five missionaries obtained God’s testimony that they are righteous, and by faith, their lives still speak, counting for eternity. By faith in God’s sacrifice, you may join their company. It has been said that justification by faith alone is the doctrine by which the church and the individual stands or falls. Why is this so? Why must we defend it at all costs? Some say that we are saved by faith plus good works. How is this different than saying that saving faith results in good works? Why is it important to affirm that justification is God’s declaring the sinner righteous, not His making the sinner righteous?